Territory Sales Manager at SAME DEUTZ FAHR- Şahsuvaroğlu Tarım A.Ş. I would like to transform my experience in territory sales management, dealer development and customer relations into a mid-management role in sales and marketing area of a multinational firm especially acting in automotive, agricultural machinery, heavy truck or other equipment sectors. My countrywide field sales experience and business network allows me to present a strong commitment of success for any agricultural machinery firms aiming to invest in Turkey. I am also open to international opportunities that I trust in my capabilities to carry the responsibility of neighbour countries of Turkey. Depending on my strong education background, experience in sales and territory management, deeper studies that I conducted in Customer Relationships Management, and wide ranged personal interests in global economic,trade, technological and consumption trends, I target to achieve a top management role in sales and marketing of a multinational in 15 years time. I always try to be up-to-date about global trends and conjuncture. Therefore, my main hobby is keeping tracks of world politics, economics, popular trends and technological innovations from different medias such as journals, newsletters, magazines, videos and etc. I want to collect all my tracks in a personal history folder in the future. I have a collection of souvenir pieces, pins, handworks, local arts from my local and abroad travels. Travel is a combination of my personal joys and professional needs. I had chance of traveling almost all around Turkey, till the farest villages, and many European Cities. My interest is boutique-style traveling,discovering local cuisines, escape-points with natural beauty and historical places. I plan to publish my travel experiences in my blog; My Travel Design. I love learning new languages. I want to learn Italian after that..
History is my main interest area. History of Turks, from Middle Asia to modern republican times. For last two years I make studies about post World War I era, Middle East History. Surrealist French Literature, esp poetry is my second main interest area. 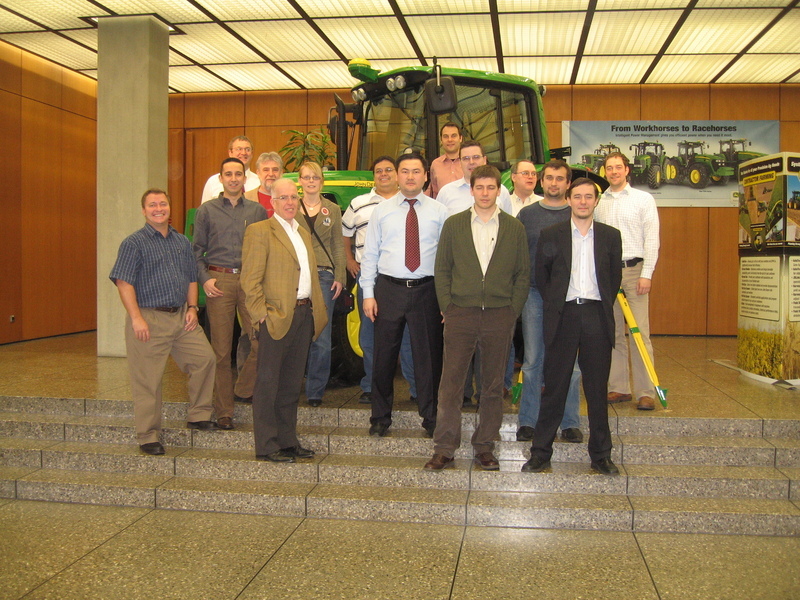 Being majored in Economics, in Middle East Technical University ( ODTÜ - Ankara, Turkey), in 2003, I have been working as a Territory Manager in Agricultural Machinery Business. During my career, I had the chance of exploring almost all over the country, not only with its geography but also with the manner of local business, trade patterns, and social structure. Recently, I was responsible for building a 3S (sales-services and spare parts) network in North Marmara , achieving sales goals for agricultural machinery, and competing with a wide range of firms trading in tractors and combine business in Turkey. My career path, therefore, made me competent in managing a territory business and a network of different culture and social levels with different business patterns under the hard conditions of high competition. I had M.s degree in Business Administration from Maltepe University in 2008 with deeper studies in Customer Relationship Management (CRM) issues, especially in Customer Profiling and Knowledge Management. Considering the high technology environment of today’s business, I had been included in different corporate projects of the firms that I had been working for, such as SAP Sales and CRM module conceptual design , E-Map applications for further market analyze and E-Business development for sales in agricultural machinery. I am accurate in utilization of Office software and presentation skills. I have advanced comprehension and communication skills in English and French while Turkish is my mother tongue. Having an analytical thinking, hard-working, target-oriented and sincere personality, I believe that I have enough enthusiasm for sales business and team work. Field Sales, Business Development and Territory Management Experience in Marmara, Middle, North and East Anatolia, and Çukurova regions of Turkey. Comprehension and Presentation skills in Turkish, English and French. "Şahsuvaroğlu Tarım A.Ş is the Turkish distributor and licenced manufacturer of Same Deutz Fahr Group for Same, Deutz and Lamborghini tractor units. Company, recently signed a new contract with Goldoni Tractors for distributing orchard tractors in Turkey"
Keeping Key Customers on board, and acquiring new ones by providing suitable product solutions and price offers. Organizing marketing events in the territory such as Field Shows, Test Drives, local fairs. Maintained satisfactory aftersales services and customer contacts. "TIRSAN A.Ş, is a leading Turkish manufacturer of trailers and semi-trailers with its own trade mark TIRSAN, and also Kaaesbohrer and Hendricks tankers and silobuses. Company is also Turkish distributor of DAF Trucks." Monitoring the sales operations of DAF-Tırsan, the sales company of TIRSAN A.Ş. Sales planning,in cooperation with import and production departments. Organizing dealer events like Product Launchs, Meetings, Trainings etc. "John Deere Makinaları Ltd. Şti, is the Turkish Sales Branch of Deere&Co, the world leader of Agricultural Machinery business." Maintaining targeted Dealer Standards Level. Keeping with JD Business Conduct Guidelines at all levels of business relations. Organizing marketing events in the territory such as Field Shows, Test Drives, fairs, dealer meetings. Product presentations in 50th Year Anniversary of JD Europe in Warsaw,Poland. "New Holland Trakmak A.Ş, (currently integrated with Türk Traktör A.Ş) is the distributor firm for New Holland Agricultural Machinery and locally leader in market share. The company is a joint venture of Koç Group and CNH." Started with a Koç Group Management Trainee position in sales, after a orientation in Marmara, Çukurova, Aegean and Middle Anatolia regions under the coaching of Territory Managers I am entitled as Area Sales Responsible in 2005. Management of 1 Parts Sales Responsible controlling 7 Parts Dealer. Organizing marketing events in the territory like Field Shows, Test Drives, Fairs, dealer meetings , local product launchs, and factory customer visits. Arçelik- LG Klima San. Tic. A.Ş. Arçelik-LG Klima San. Tic. A.Ş. is manufacturer of Arçelik-LG branded airconditioners, a joint venture of Koç Group and LG Electronics." I completed a one-month internship in Sales and Marketing Department, Domestic Markets division. "Arçelik-LG Klima San. Tic. A.Ş. is manufacturer of Arçelik-LG branded airconditioners, a joint venture of Koç Group and LG Electronics." I completed a one-month internship in Sales and Marketing Department, Export Markets division. Graduation Thesis: "What makes Frenchmen different? French Historiography about Ottoman Empire"
SD and CRM modules I took part in conceptual design of SAP integration in New Holland Trakmak A.Ş. as project member of SD and CRM teams.